Wineplus is an online gift store, where you get to create tailored giftboxes and hampers in an instant. Choose a giftbox, pick a bottle (your choice of wine, whiskey or port), add a message then send! 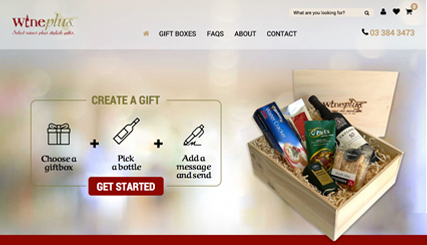 We've created a robust eCommerce solution for Wineplus that creates personalised gift boxes using composite products software. Digital marketing is at the foundation of this site's online success and we are managing an effective Google AdWords campaign delivering targeted visitors to the website.